One of the buzzwords that emerged out of 2016 is the “side hustle”, referring to income one earns outside one’s regular job. That the first world has lent mainstream credence relatively recently to this term may be amusing to entrepreneurial Pinoys who have long practiced or recognized the need for a side hustle, or what we’ve called it for years before the modern lexicon wanted to make it hipper, the “sideline”. Still for many, taking a full head-on plunge into entrepreneurship is intimidating, but Best Value Factory Food Outlet’s HANEP Negosyo program makes it easier for anyone trying to venture into a side business and even grow it enough to become a full-fledged entrepreneur. What the HANEP (informally short for HanepBuhay) program does is package small food businesses, consisting of a machine and free initial supply of goods to get you started. You can choose from a different array of machines and price points. The cheapest is the fryer, where for Php2,900, you can already start selling fries, squid balls, and snacks of that variety in your neighborhood/school, provided, of course, zoning laws allow it and you have already obtained the proper permits. The best thing about getting your HanepNegosyo package from Best Value is the quality of the products and the support they provide their customers. “The original intention is for us to penetrate the market with our products,” explains Princess Guia, Sales and Operations Supervisor of Best Value. “We deliberately priced it low because the goal is not the one time purchase of the machine itself, but for the repeat purchase of consumables.” And customers have done just that. Best Value has seen the demand for their products rise with the introduction of the HanepNegosyo program. Customers who have contracts with other suppliers often switch to Best Value’s products once contracts with their previous suppliers have ended because of the quality. “Even if our soft serve mixes are not as cheap as our competitors, I have talked to customers who switched to us because they preferred the taste and texture of our soft serve mixes,” says Guia. That Best Value gets most of their supplies from their mother company, Oleo-Fats, a specialty food manufacturer, means these products are sold at factory prices. It is significant to note that however, that Best Value also carries an entire array of products and not just those manufactured by their company. 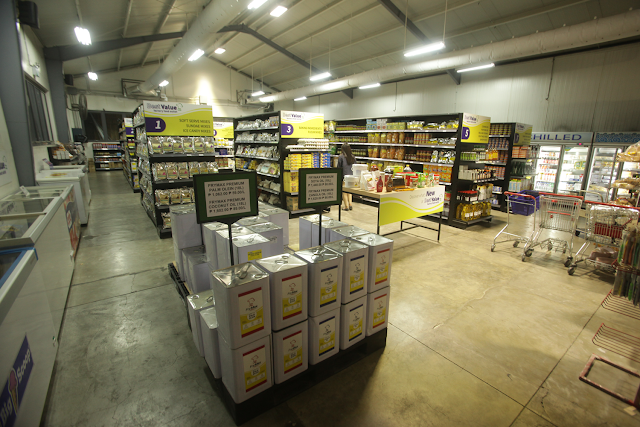 Best Value has come to evolve from being a selling arm of the Oleo-Fats, into a full-fledged store, that sources their products from various companies to service their customers. The convenience for entrepreneurs of not having to source products from multiple suppliers cannot be overemphasized. 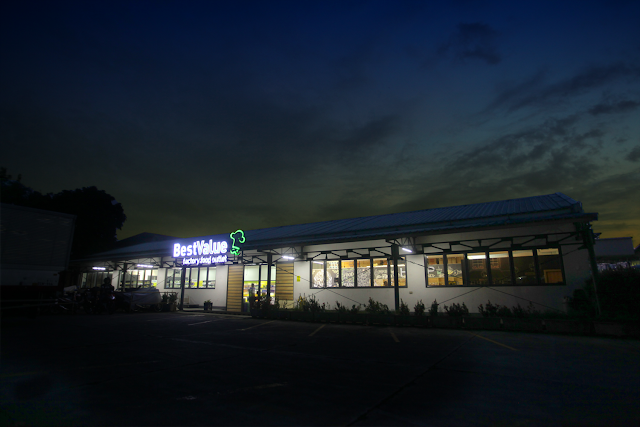 Best Value is a one stop shop that carries everything their customers could possibly need. For instance, the store does not only carry popcorn kernels, but also popcorn oil (there is a special oil to best pop corn kernels, also for color and butter scent), flavoring powder, and the various-sized holders as well. For the soft serve ice-cream machines, Best Value carries not just the powder mixes, butalso dips, hard shell coating, syrups, and a whole variety of toppings, as well as cones, cups, even spoons. 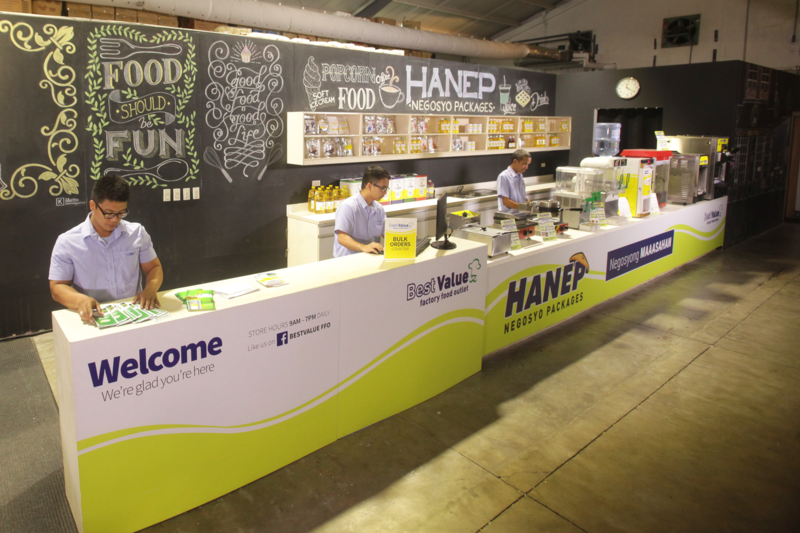 The Hanep brand currently carries seven packages: Fryer, Popcorn Maker, Soft Serve Ice Cream, Juice, Granita, 3-in-1 Vendo, and the Waffle Maker, that comes in both conventional square waffle and hotdog size. The machines range in price from Php2,900 for the fryer; the waffle maker is Php8,500; the juice dispensers are around Php18,000, at the top of the range are soft serve machines at P100,000+, and Guia adds the mixes, other related ingredients and materials, all for free, “Basically everything they need to start.” And it’s not a paltry amount. The soft serve package comes with 10 kilos of mixes, “which amounts to 30 cones with 2.5 regular twirls,” recites Guia, as well as dips, fudge and sprinkles. And yes, you will be taught to twirl because not twirling the right amount will cost you. Hanep also keeps an eye on business trends. More recently, the rise in kiosks serving churros has seen the company develop a churros package. “Our goal is to come up with more Negosyo packages,” Guia offers. What Best Value offers that other companies may not is machine warranty and continuing customer support. Some of the machines, like the Granita dispenser come from Italy, and the care and maintenance of the machine is a major consideration. But the Hanep program really encourages entrepreneurial ventures, with low risk outlays and even offering HANEP packages on installment. They even have refurbished machines at cheaper prices. The demand for machines is so high, that they sometimes ran out of machines. Hanep offers one year warranties on their machines, and you can still take the machine to Best Value for repairs after the warranty has ended. If you happen to be near their office in the Libis area, the company is willing to send their repairman to your place of business. “We’re very flexible with our customers,” says Guia. They service clients all over the country and will ship machines out to their provincial clients.There are no franchise fees or royalty fees, which really gives the control of the business to the entrepreneur. “The margins are small, but the goal is for the customer to see the value of our products. We want their trust. And it’s not just the products, what we really give them is the service,” says Guia. “I once read,‘The customer doesn’t care how much you know, until they know how much you care.’” – a dictum Best Value has certainly taken to heart. (Check out the various HANEP Negosyo packages at Best Value Factory Food Outlet at 62 Calle Industria, Bagumbayan, Quezon City, (02) 635 4437 or (02) 635 0680 loc 386, 0918-903-9328.Store Hours: 9AM-7PM daily).